Selling electric contactors. Electric contactor is an electro magnetic device that has a working principle utilizing the theory that an electric current flowing in a copper will produce a magnetic field. 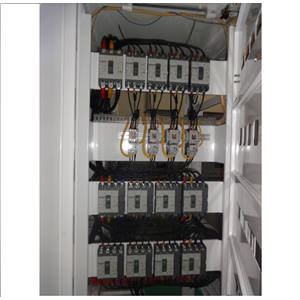 In general, electric contactors are used for 3 phase electrical systems. Contactor is one type of electrical component in the form of a switch and works magnetically ie the contact works when the coil is energized. The DC Contactor is designed to connect and unlock the electrical circuit without damage. These loads include lamps, heaters, transformers, capacitors, and electric motors. The Electrical Contactor is a switch and works magnetically ie the contact works when the coil is energized. AC Contactor is designed to connect and open the power circuit without damage. These loads include lamps, heaters, transformers, capacitors, and electric motors. Contactor Electric is an electro magnetic component with its working principle utilizing the theory that an electric current flowing on a copper will produce a magnetic field. 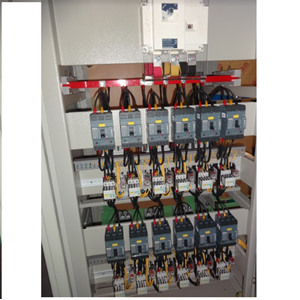 Usually contactors are used for 3 phase electrical systems. Not all AC contactors have normally open and normally close. Buat Permintaan Untuk "Electric Contactor"
The function of an electric contactor is to disconnect and connect electric current electrically. Usually used for applications: motor, heater, lighting or electric power distribution. Contactor works utilizing the electromagnetic working system produced on the coil. Where a coil is made from a coil of conductor, when given an electric current it will cause a magnetic field. This magnetic field will attract the moving contact component so that it is connected with fixed contact. When the electric current flowing into the coil is turned off, the magnetic field will disappear. Because inside the coil is equipped with spring, the contact will automatically open again. The main contact consists of 3 contacts Normally Open (NO) and always numbered with numbers 1-2, 3-4, 5-6. For industrial electrical installations, 3 phase loads are connected directly to these three phases. And then, the contactor coil functions for its control. 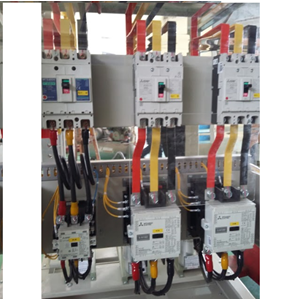 Auxiliary contacts of a contactor can consist of normally open (NO) or normally close (NC) contacts where the auxiliary contact requirements can be determined based on the installation working principle designed. Auxiliary contacts function specifically to help your needs if there is a lack of contact needs in the main contact. Auxiliary contacts are usually given a numbering code from numbers 13 to 22. Coil contactor is a coil part of the contactor that is electro-magnetic, so it can provide a voltage in the form of an electric current that will change the entire existing contact to close or open according to its function. Coil contactors are usually labeled with letters A1-A2. Coil contactor will later act as a controller installed on the control diagram to control the contact conditions that exist on the contactor.